I'm really excited to share this one with you... it's definitely one of my favourite so far. Inspired by leaves, the graphic symmetrical design is quite dynamic. I hope you agree! The actual construction is quite simple - just a leaf shape filled in with slashes of negative space - but the final look is almost hypnotic. 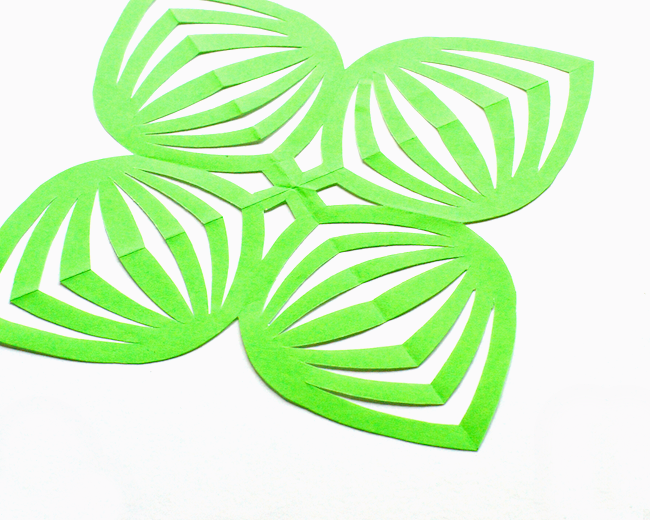 To create your own kirigami leaves design, use the template below and the 4-point folding pattern. 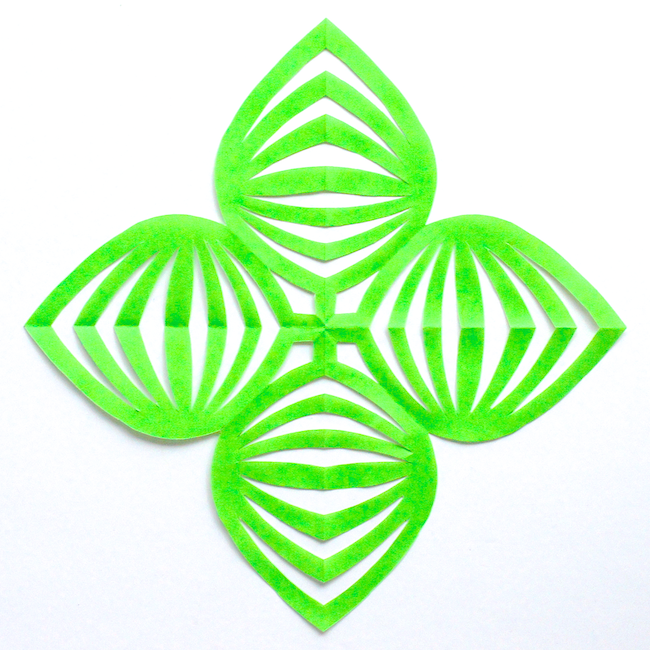 Ready to try all of May's unique paper cut designs? 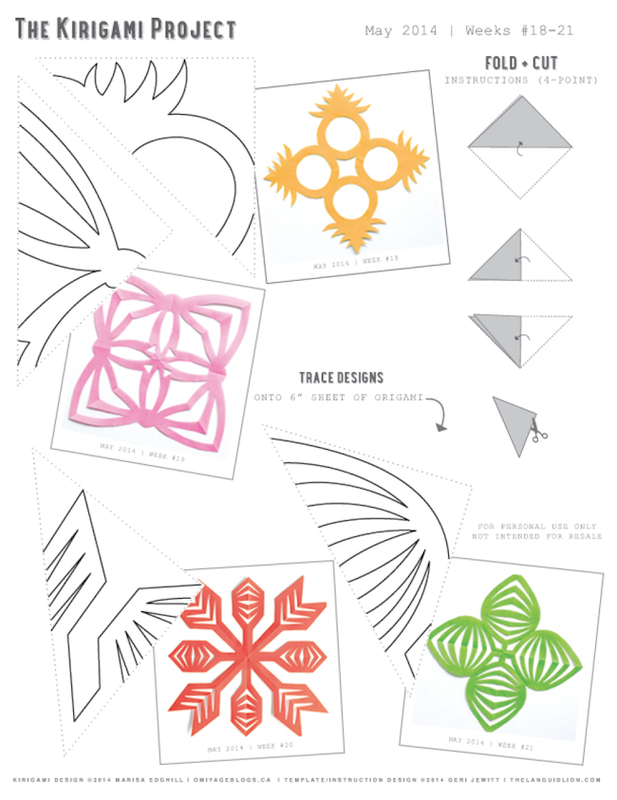 Click on the image above to access and print May's free printable template. 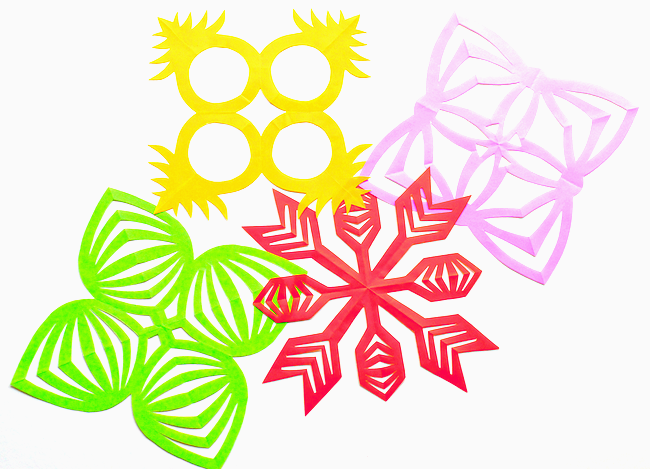 Then fold, trace and cut this month's kirigami designs! Which of May's designs is your favourite? 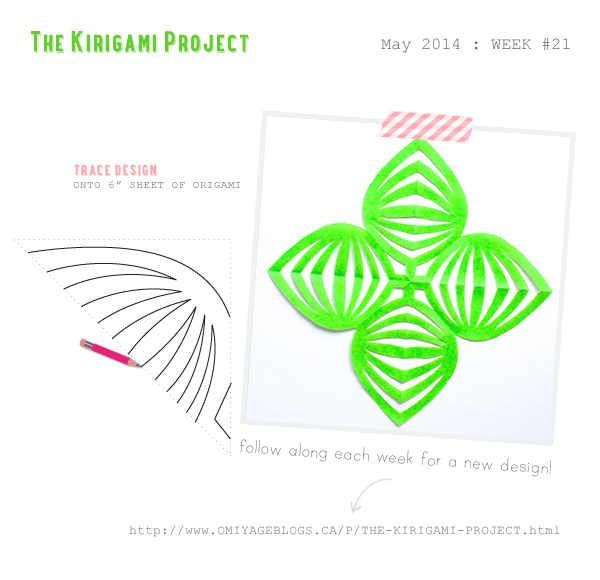 We'd love to see your versions on social media - use the tag #thekirigamiproject to share in the kirigami fun!